It's okay not to pursue a career related to your degree - Kat Got Your Tongue? University – it’s an interesting time in your life, and a very big decision that is sprung on you far too early in your career. How do you know you’re choosing the right subject? Is it the right choice for you? What about all the debt? What if you change your mind? What if you don’t end up using your degree? 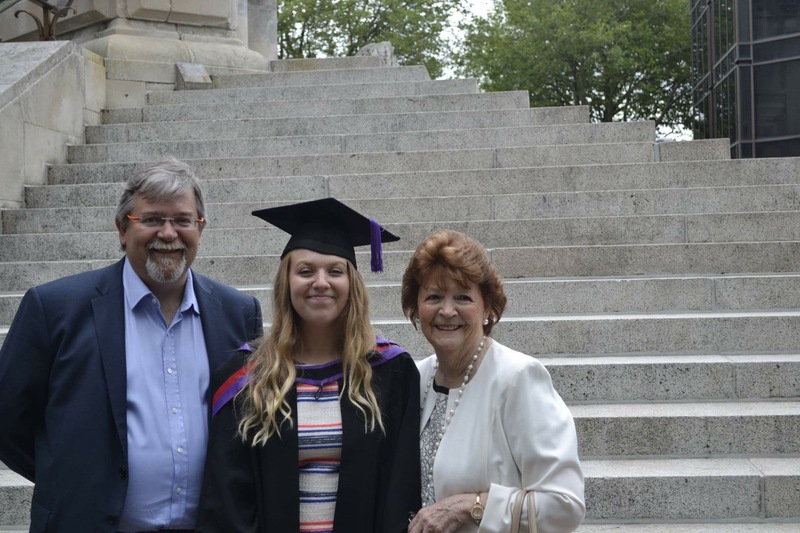 There are just SO many things to consider before going to university, and once you graduate – so I thought I’d share my experience, my career since finishing university and what I’m up to now. Back when I was in Sixth Form (which feels like a lifetime ago now) I wasn’t certain what I should choose as my University course, but I knew I wanted to go to University. I liked English and science, so after much deliberation I decided that I wanted to study Marine Biology. At the time, I was living in Milton Keynes, and naturally, I was eager to go to University at least 2 hours from home – just like every other eighteen year old! We went on several University visits, all on the coast because of my chosen course, and after visiting Liverpool, Swansea, Plymouth, Newcastle and Portsmouth, I applied for them all and ended up choosing the University of Portsmouth (Newcastle and Plymouth were simply too far!). I started University back in September of 2012 (seven years ago now – which is a little scary! ), which was an emotionally draining point in my life. I was in University halls for my first year, right in the middle of the city and a 5 minute walk from the building for most of my lectures. I didn’t know anyone in my flat when I first moved in, but made some friends both on my course and in the halls. For my second and third years, I lived in a shared house just outside of Gunwharf Quays and a 15 (or so) minute walk to the university buildings. To be completely honest, during my second and third years I was not as motivated as I had hoped I would be, both with completing my course work on time and with my attendance at lectures (sorry Mum and Dad!). One of the issues with University is that attendance at lectures isn’t really compulsory, and all of the powerpoints from lectures are available online afterwards – so really, was it necessary that you attend them all? Not the right attitude, but hard to avoid. Especially when some lecturers have a habit of not saying much more than is written on the slides. My favourite part was definitely the practical lab work – that’s the reason I chose Marine Biology! 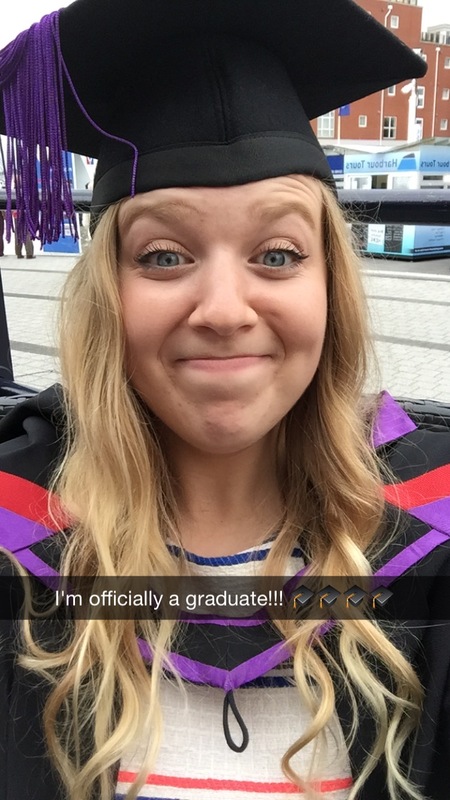 My third year was challenging, both academically and personally, especially around exam time – and I’m not quite sure how but I graduated from University in 2015 with a Upper Second Class Honors BSc Marine Biology degree. I was pleased to have achieved a 2:1, but also very disappointed in myself as I was aware I hadn’t put as much effort as I could have done into my coursework, revision and exams. But – I had a degree and University was over, and I couldn’t wait to go home. Looking back on my time at University, I think I can safely say that while I’m glad I went, I don’t look back on those 3 years as a particularly positive or happy time in my life. I was tired, stressed and my graduation day was unfortunately not a good day for me. However – that being said – I learnt how to live on my own, I’ve come away with a couple of great friends, I’ve gained a lot of life experience and I’ve found that I absolutely love living by the sea. When I left university, I stayed living near Portsmouth (in Southampton) and I got a summer job in a boat yard which I absolutely LOVED – which lead to me getting my first full time job at a boat sales company as a Office Administrator. Fast forward a year, and I had discovered my love of boats, the marine industry and marketing. It bothered me that I wasn’t using my degree, but I reassured myself that the life experience was worth it, and I was still within the marine industry so technically my work and degree were related – right?! 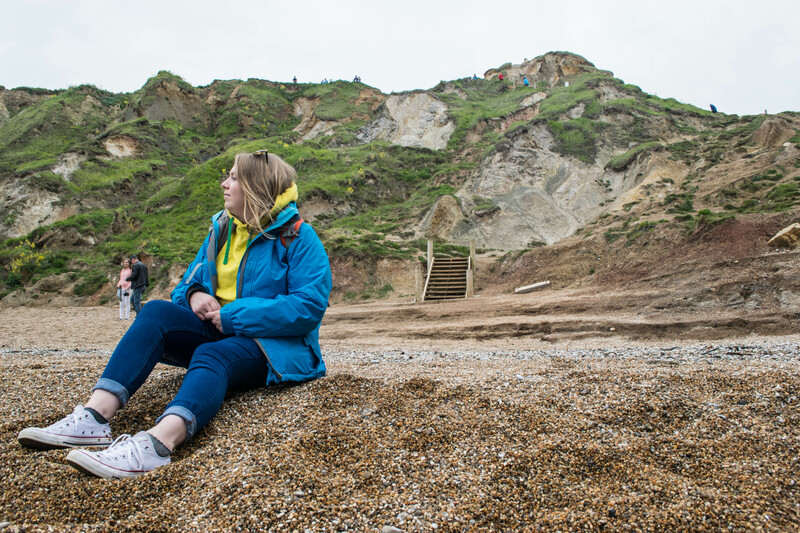 My role progressed to Marketing Coordinator, and after another year I started looking for a new job as I felt it was time for a change – to something with more progression, but still within the marine industry. It was at this point that I made both a good decision, and a bad decision – all wrapped into one. I made the (difficult) decision to leave my job and start an entirely new role as a Dockmaster at a marina. This was an outdoor job, in all weathers, with 12 hour days and a funny shift pattern. I worked on Christmas Eve, Christmas Day, Boxing Day and New Years Day – and I felt like I had made the worst decision ever. What had I been thinking? I was miserable, I hated my job and I worked outside during those awful storms in February, and outside in the snow! I had wanted to see if an office job was right for me – so I chose a job that was the complete opposite and it turned out that an office job was what I wanted after all. I reached breaking point, and applied for a new role – which, luckily for me, I was offered and I started the next day. My next role was as an Office Administrator again, still within the marine industry – familiar territory for me – and I spent about 10 months in this role. I loved the company I worked for, my boss was absolutely brilliant and the team was welcoming, but there were a couple of parts of the job that I liked a little less. After a while I started to feel that perhaps I wasn’t quite the right fit for that particular role and made the decision to start looking – yet again. Come December, I was offered the perfect job for me, at a really interesting company and with lots of opportunity for progression. Third time lucky I suppose! So – present day here in 2019 – I am currently a Marketing Coordinator, still within the marine industry, and my role is (finally) only marketing – which is what I had been looking to do for a long time. I’m really happy, back to doing what I love – and I’m no longer working outside! I’m not using my degree, but I’m happy that I have it, and I have accepted that it isn’t a career path that I wish to pursue. A note on the career side of things, regarding my many job changes – my advice for you would be to keep searching for what will make you happy. Don’t be afraid to try a few things and change jobs if you are unhappy – I’ve been there, and it really is not worth sticking with a job if you are so unhappy. As long as you can justify why you have changed roles on your CV, you shouldn’t encounter any issues – and hopefully you’ll end up in your perfect role like I have! How do you know you’re choosing the right subject? You don’t! There is simply no way to know what you will want to do in the future – what you decide when you’re eighteen (or earlier) might not match what you want to do when you are 21 and leaving University. I do think about how it would probably have been wise to choose English, or Journalism – something that interested me back then and would have applied to my current career. That depends! I have a degree, but I am much further back in my career than Tom, who has been working since he was sixteen and has a fantastic career. Having a degree doesn’t guarantee you’ll go straight into a high paying job, if you get one at all, and you are still more than able to get a great job straight out of school. A degree doesn’t make you better than anyone else, or more clever – it is just a different choice. So, I would say, weigh up all your options – why would you want to go to University? Do you need a degree for the career you want? If you are unsure about your career, why not consider college or an apprenticeship as an alternative, or going straight into work. If you do decide to go to university, PLEASE don’t worry about all the debt you’re going to accrue. You don’t start paying it back until you’re earning over a certain amount, and when you do start paying it back, it’s so little that you don’t even notice it – it’s mere pennies compared to the amount you pay in tax! Debt shouldn’t stop you from going into further education if that is what you want to do. It could happen – and you do have the option to drop out of your university course, or to transfer to another course and start again. You aren’t locked in to your course, and circumstances can change – I know several people who dropped out, and it was definitely the best decision for them. What if you don’t end up using your degree? Well – seven years after starting university, I’m not using mine, but I still have a good job that I enjoy and a pretty clear and exciting career path ahead. However, having a degree (regardless of the subject) looks great on your CV and is something that employers look for – so if you finish your degree and realise that you don’t want a career in that subject, all is not lost! I hope this has been helpful for some people – a little insight into my life so far, and how university was for me! If you have any questions, please let me know in the comments and I will do my best to answer them. I had the same problem with attending lectures in 2nd and 3rd year, 1st year I was always there but then it just kinda dipped. I completely get feeling a bit disappointed, I feel like I haven’t really done enough to achieve my 2:1 and feel a lot of what you feel – it was an experience, but not necessarily the most amazing one. I think it’s great that you tried the Dockmaster role and challenged yourself, even if it wasn’t for you (it does sound like a difficult role). I did English (and am doing like a backwards foundation year to include ‘a year in computing’ on my degree) and honestly don’t see myself using much of either one, but I guess you’re right, it’s a route to take and something that you can talk about at interviews!